It's a week after New Year's Day, and at More Than Paper, we are talking about new year's resolutions. The beginning of a new year is a way to start fresh -- do you make resolutions? Do any of your new year's resolutions fall into these categories? At More Than Paper, we can help you get organized and save money. 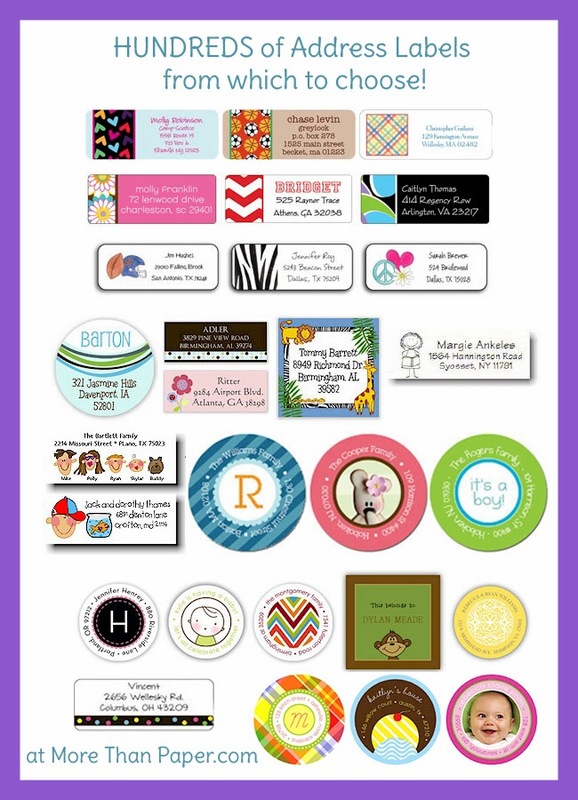 To get organized, start fresh at your desk and stock up on our wide selection of address labels. We have hundreds from which to choose! Vibrant colors, bold patterns, and a variety of designs, there is something for everyone here. Organize your desk by throwing away clutter, file paperwork, and get that correspondence in the mail and off your desk. For as little as $6.00 for 30 labels, you can replenish your supply without breaking the bank. To remind you of your family at work, and remind you to come home early, check out our selection of personalized frames! Add a personal touch to your desk with a great picture frame found at More Than Paper, and it will be a reminder to spend more time with your family in 2014. We'd love to hear your new year's resolutions! What are they? Share them here by leaving a comment or let us know on Facebook. Happy New Year!